Proper ventilation is vital to the long-term health of the roof and the energy efficiency of the entire home. For the roof, the vents allow the structure to breathe by expelling stale and moisture-rich air out of the attic and letting fresh air in. There are different vent systems and one type may be more efficient than the other. Harmony Home Improvement, one of the top home improvement contractors in Connecticut, lists the five different types of roof vents. These are installed on the peak or ridge of the roof, hence the name, and are completely covered by the shingles. Since they don’t contain any moving parts, they are paired with intake vents to function properly. 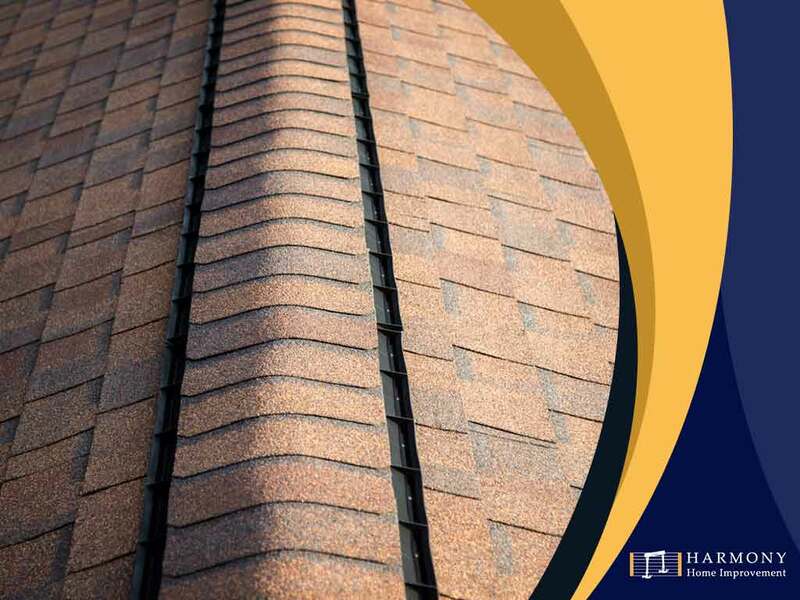 Ridge vents don’t create hot or cold pockets in the roof, preventing the uneven aging of the roof structure. These pair with the ridge vents, installed on the soffit or the bare underside of the roof. These vents are made from PVC or aluminum and are only visible when you look up the eaves. Since these exhaust vents have a downward-facing orientation, they are effective at reducing the moisture build-up within the roof. While mostly a decorative feature on the roof, they are easy to convert into functional, albeit static, vents similar to a ridge vent. Cupola vents are located at the top of the ridges, effective at drawing heat and moisture where they are installed. As with other intake vents, cupola vents must have a matching exhaust vent to function properly. As part of our complete residential roofing services, we’ll match this intake vent with its appropriate counterpart. These are electric fans built into the gables of the attic. They are more effective at ventilating the roof than static intake vents but require at least 300 watts of electricity to run. They are a good choice for larger roofs where the usual static vents don’t suffice. These are triangular vents found along the peak of the roof gables. They are the most visible roof vents and often covered with a screen to prevent insects from getting in them. Because they are less efficient on their own, gable intake vents usually come with a ridge vent as part of a multi-gable structure. At Harmony Home Improvement, we will help you choose the right combination of vent systems to ensure a properly ventilated and healthy roof. We also offer exterior vinyl siding installation. Call us today at (860) 516-9103 to learn more about our services. We are one of the top home improvement contractors in Glastonbury, CT.